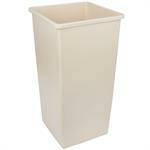 J&M carries a full line of Sand Urns & Ash Trays. 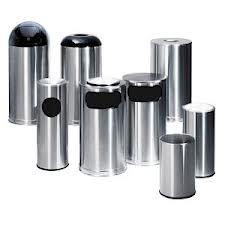 If you don't see what you are looking for, please give us a call, as we have many other products available in this line. 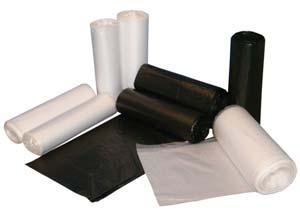 J&M stocks a full line of trash can liners for any size receptacle. If you don't see what you are looking for, please give us a call. 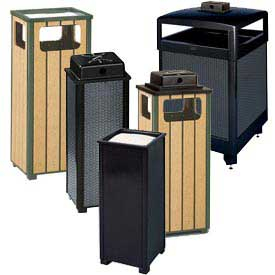 J&M carries a full line of waste receptacles. We have many other sizes and styles available. If you don't see what you are looking for, please give us a call. 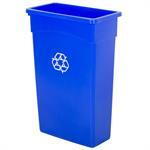 Built of durable plastic, these receptacles work efficiently in tight spaces. Their sleek, attractive design holds either 16 or 23 gallons of recyclables, but protrude less than one foot from the wall. Square Swingline containers provide 25% more capacity which equates to labor and poly liner savings. The rolled rim provides strength and a convenient area to lift or pull. Reinforced base will take rough commercial use and they nest for easy storage.